If you are reading this blog, you most likely nurture an intention to eat and drink as many deep green vegetables as possible. You know they alkalize your body, protect your bones, build your blood and sooth your gut. Believe it or not, a glass of rich green vegetable juice in the afternoon is a better pick-me-up than coffee. Green juice shoots amino acids to your brain and minerals to your nervous system. And green juice helps shed toxic fat (the kind that turns into cellulite) faster than anything. But, let’s face it, who has time to make or buy fresh green juice daily? I know the solution — freeze-dried greens! These easy-to-use, sweet, digestible powders mix quickly with water to provide you with all the nutrients of green juice. This vitamin and mineral-rich food will alkalize your blood, balance your blood sugar, satisfy your cravings, and deliver fuel to vital organs in minutes. You can add the greens to your protein smoothies, or drink them solo. They are a dieter’s delight, because they have few carbohydrates and no additives. Once you find a freeze-dried powder you love, you will never be without this secret weapon in your toolkit of energy boosters. I stared into my refrigerator and with nothing already prepared, I realized that I would need to make dinner from scratch. The problem was, I felt ravenous and tempted to reach for a bowl of gluten-free granola instead of taking time to steam green beans, fresh peas and cook eggs. 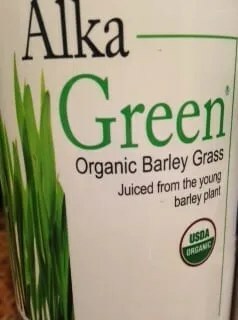 Wait a minute, I thought … I quickly mixed myself a glass of freeze-dried barley grass. The taste is mild and easy to drink. although it doesn’t taste quite like fresh barley juice, which has a strong flavor. In minutes, I felt renewed and recharged. The greens gave me patience and energy to create the healthy dinner I wanted. And, I was fortified with nutrients I had missed from not drinking fresh juice all day. To learn more able how to alkalize your body go to WikiHow for more details. 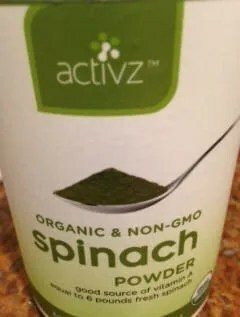 Many brands of freeze-dried greens are available in local health food stores and online. Shown above are three that I love, because I prefer fruit-free powders with just a few ingredients. Many other excellent brands are available. The key is to buy an organic powder and if possible, with a label certifying it free from GMOs (Genetically Modified Organisms). 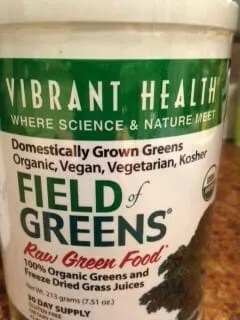 You may soon discover that freeze-dried greens are your best friend to help you alkalize your body for weight loss and detoxification. I carry them pre-measured in a mixing container, ready to add water and drink. 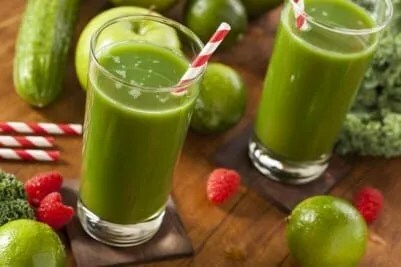 Sure, nothing equals freshly made green juice … but these quality green powders are a worthy substitute–in place of addictive foods that could take you down, down, down. We are having a blast in our January Happy-Gut Makeover! Next week I will share some enthusiastic testimonials that will tempt you to join our Spring Cleanse. Happy January Detox!